Constructed of powder coated steel for added strength and security. Easily adjusts up, or down with spring-loaded release. Constructed of powder coated steel for added strength and security. Fits all home style beds. Easily adjusts up, or down with spring-loaded release. Crossbars are easy to install and remove. Adjusts between 36-72. 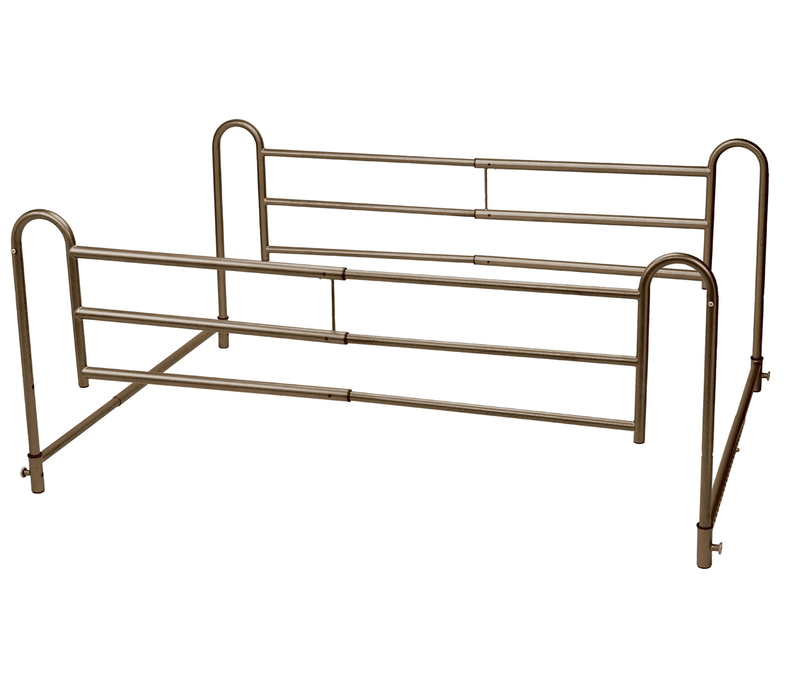 Crossbars come with extensions that will accommodate KING SIZE BED.